Today we’re talking turkey, pumpkin pie, and everything in between that you might just want to add to your gluten-free Thanksgiving To Do List! The Gluten-Free Recipe Fix: Thanksgiving Edition is your one-stop-shop for the feast! Word on the street is that Aldi has gluten-free fried onions for green bean casserole. Mamasita is thrilled about this so I’ll be buying some before heading home to MN for our fabulously gluten-free feast! Shirley has rounded up FORTY, yes 4-0, pie crust recipes to choose from. (thank you!) I just sent this Best Gluten-Free Flaky Pie Crust recipe to my mama to check out. Need a quick, easy snack mix? Try this. Some of our family favorites for you to try — love grandma’s rice! Want fresh baked bread with your turkey day meal? This recipe is for you. You know I love a good graphic. (or seventeen) All things Thanksgiving in graphics. There are always requests for my pumpkin spice cookies with cream cheese frosting. Shauna and Danny have an app you can download but also a LIST of videos and recipes to try. EnJOY the time with your families, my friends. This last week was filled with JOYful memory making, but also tragic events on a global and much closer to home level — I can’t make sense of it all, but in times like these, I gather with my tribe and look for the light. coffee with my BFF in Denver! Ophelia’s Denver: doing gluten free right! I know, I know — you’re waiting for one of these posts to be a recipe, right? I’ve got some things up my sleeve. Don’t you worry. But for now, let’s catch up on what’s happening around the web and the gluten-free community. 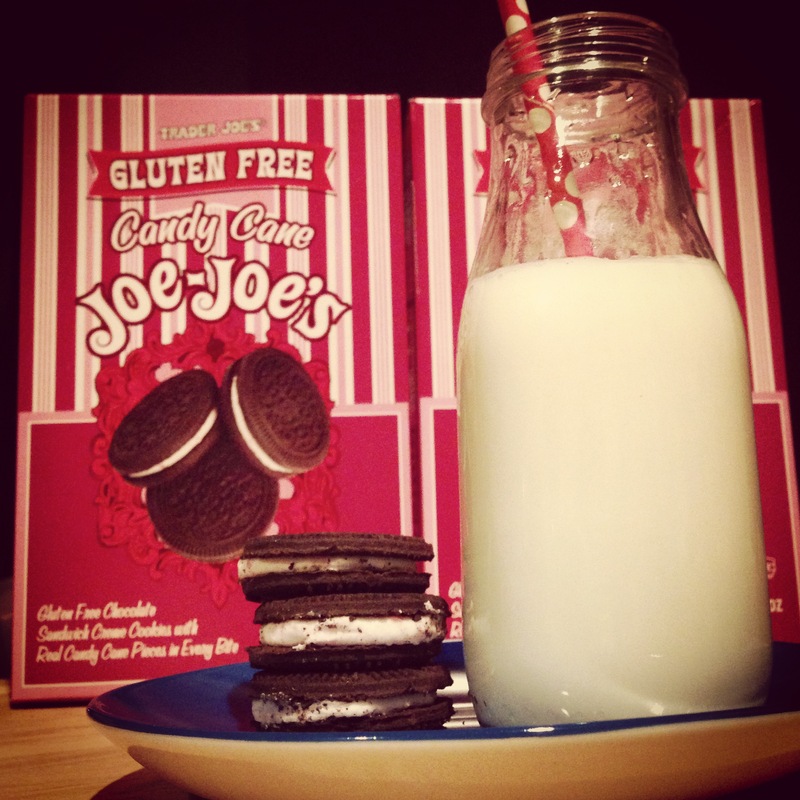 Snacking on: Trader Joe’s Gluten Free Candy Cane Joe-Joe’s. 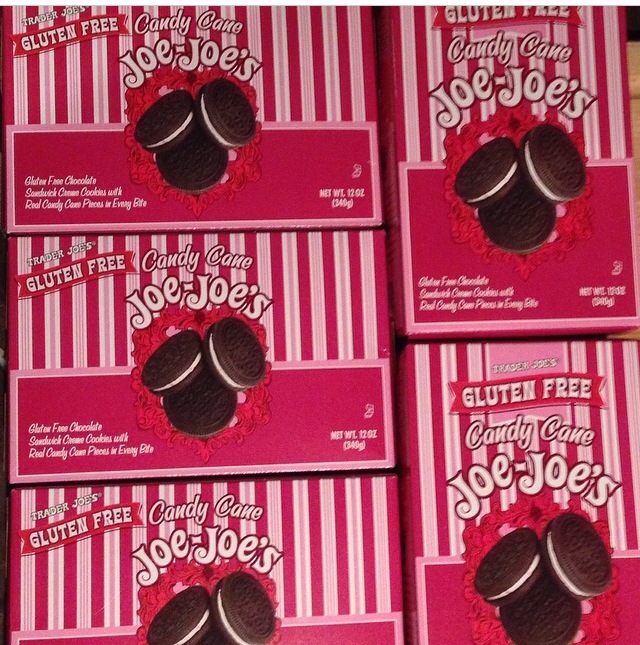 Run, don’t walk, to your nearest TJ’s and buy them. They are $3.99 at the one here in Glendale, WI. 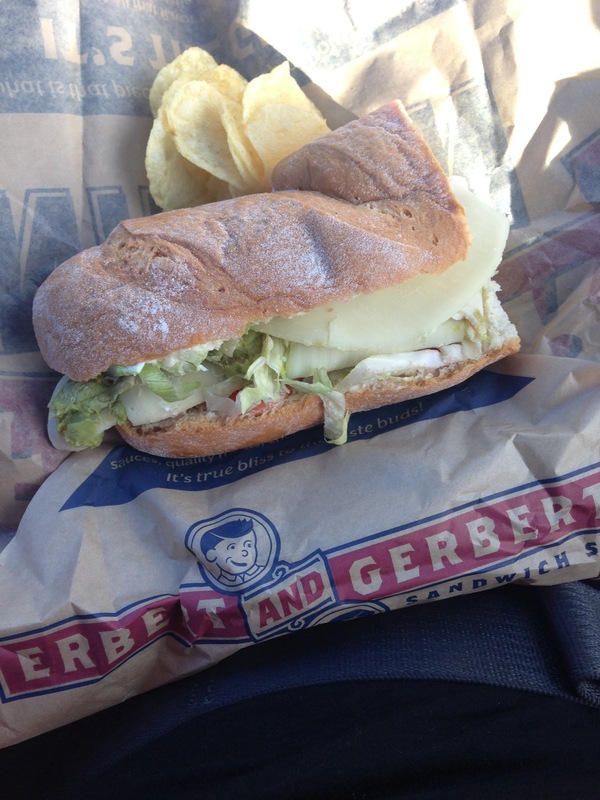 Road trip find: Erbert & Gerbert’s gluten free subs. 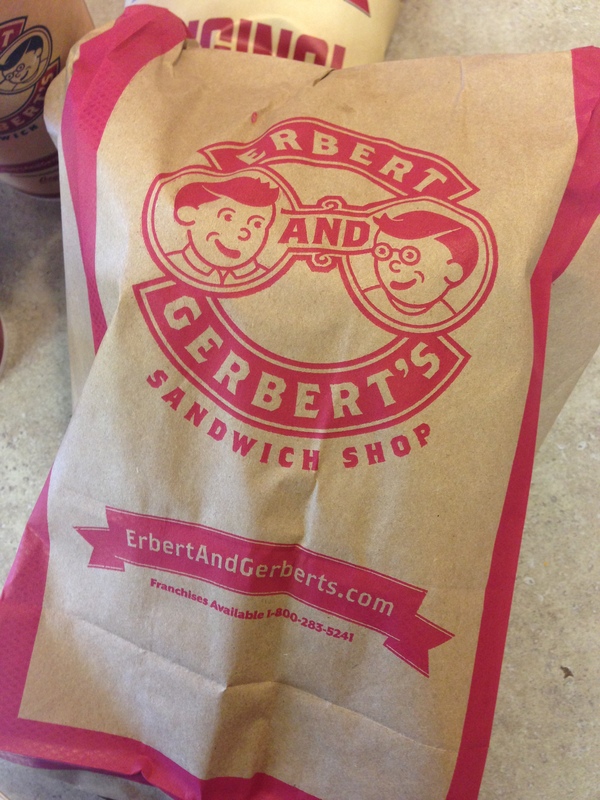 I first had them in Sioux Falls, SD last summer. (bread was softer there, better made sammie) But they also have them at their other locations and have a separate area in the back where they make the subs, store separate GF ingredients, and totally avoid cross contamination. 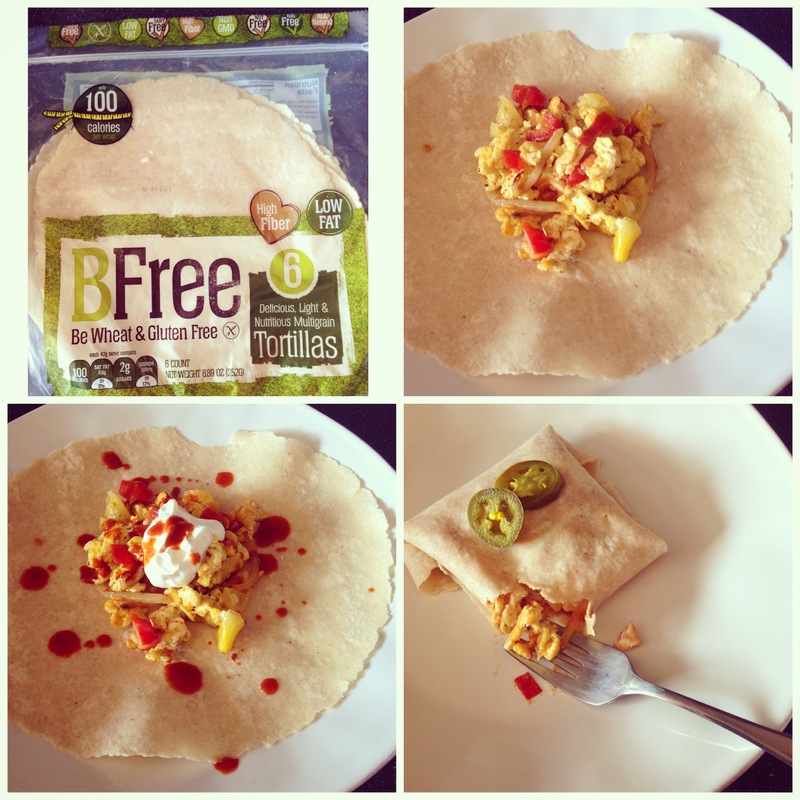 New-to-me product: BFree wraps. I first met the BFree team in Chicago at the GF Expo last year and was a big fan of their breads. I found these wraps at Sentry in Delafield — which you should check out, their GF section is insane — and have been using them for breakfast burritos. They stay together, even full of ingredients. They aren’t your typical flour-like tortilla, they are wraps, pliable and a great vehicle for holding all the goods. 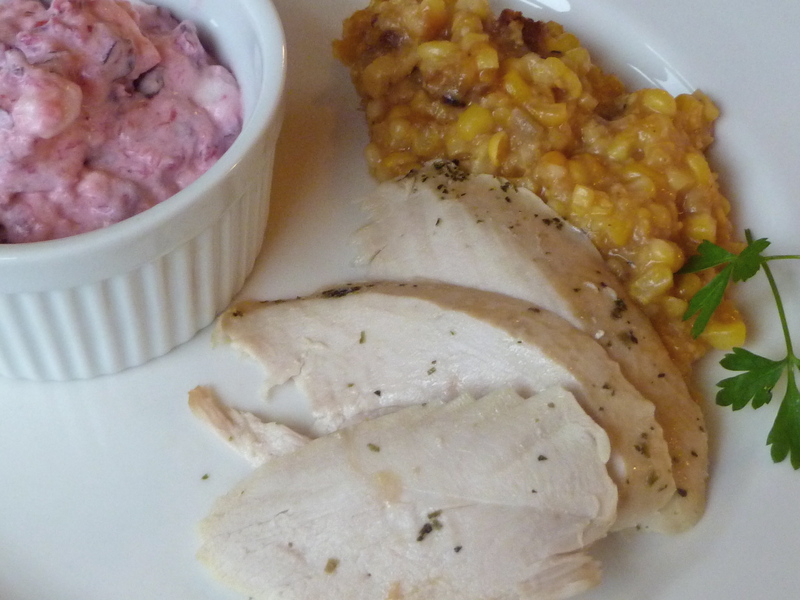 Check out this post on a GF Thanksgiving, and then this one on our traditional family favorites. And don’t forget the pumpkin spice cookies! 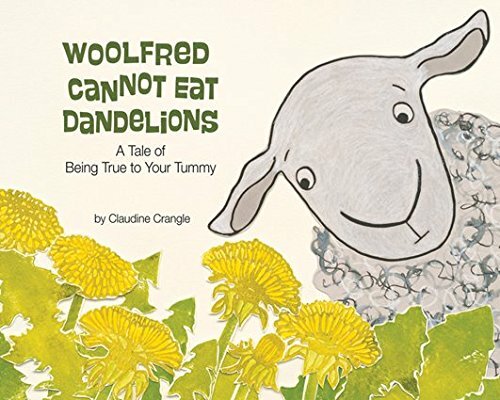 Gift to give: Woolfred Cannot Eat Dandelions – A Tale of Being True to Your Tummy by my blogger friend Claudine Crangle of Gluten Free Gift. “Most sheep will eat almost anything they come across, whether it’s good for them or not. Woolfred, however, has a delicate system. He cannot eat dandelions. It i isn’t fair — the other sheep can eat whatever they want. He knows what will happen if he eats them, but still all Woolfred can think about is dandelions, dandelions, dandelions! I will be giving one to my GF nephew for Christmas, and many more might find this in their stocking. The November GF Get Together will be at P.F. Chang’s on Wednesday, November 19th — RSVP now via the Facebook invite. (and start thinking of cookie recipes for our holiday cookie exchange party in December, it will be the week before Christmas.) Remember to use hashtags #glutenfreeinMKE when posting to social media so others will see the posts and the options in our area when they go looking for Gluten Free in Milwaukee. Today kicks off birthday week for me — yes, at this age, you get a week to celebrate. 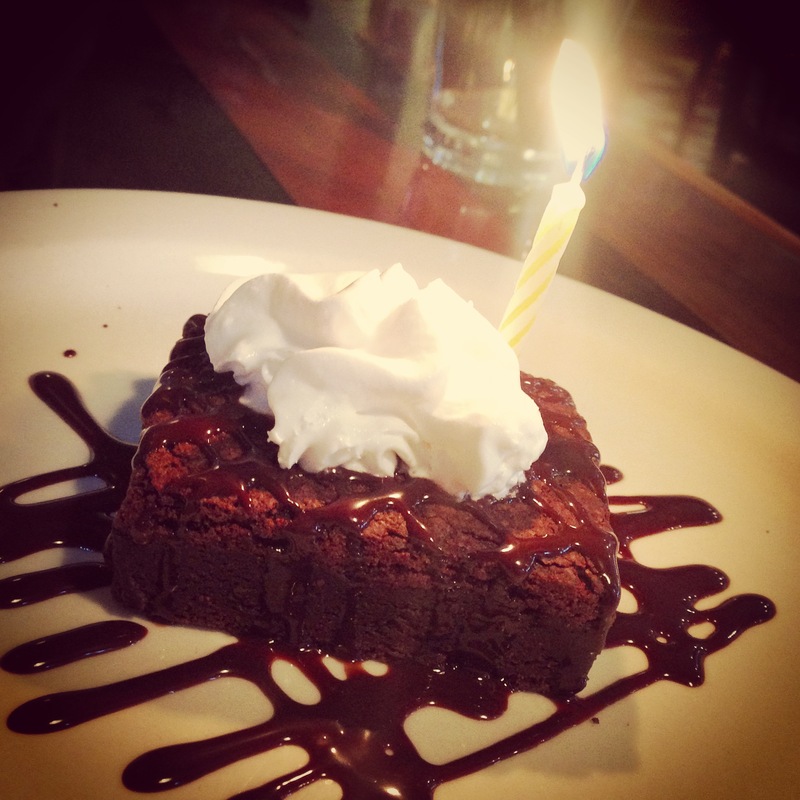 Our friends at Transfer spoiled me with a brownie yesterday, heated to perfection. When you go in, make sure to check it Danielle is working, she has been our favorite server for years and she will always take good care of you. I think 29 (again) is going to be a great year! Of course we’ll be having the traditional turkey, stuffing, mashed potatoes, and rolls. 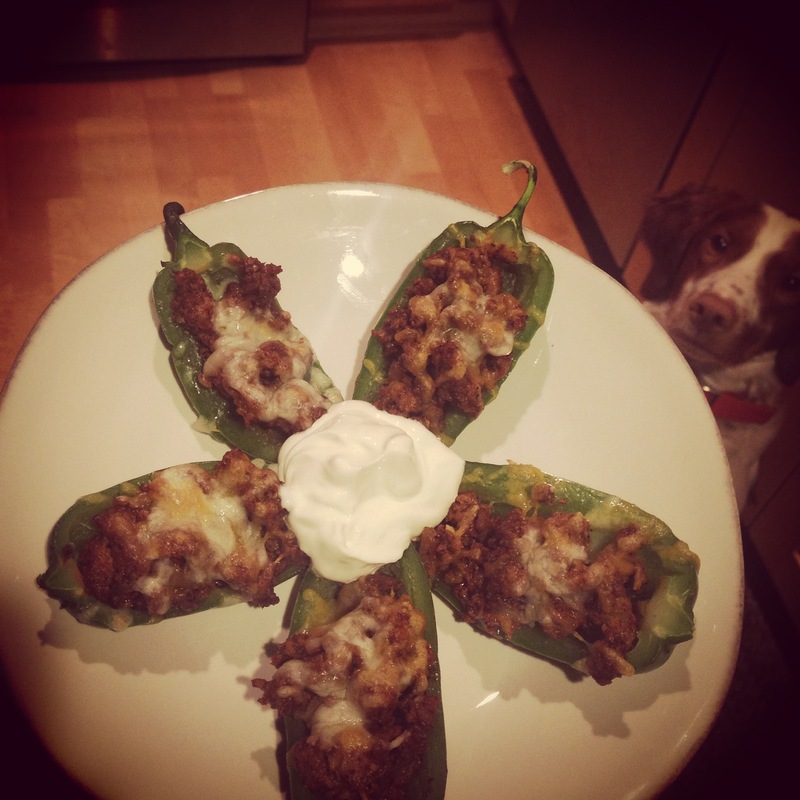 If you are in need of help making your entire meal gluten free, head over to Gluten Free Girl and The Chef’s site. There are more recipes over there than you will know what to do with. And be sure to put their new book on your Christmas list this year. You are going to love it! But these are some of our family favorites that I wanted to share with you. This recipe was passed on to my grandma from her grandma. My mom watched her make it over the years and now shared it with me. 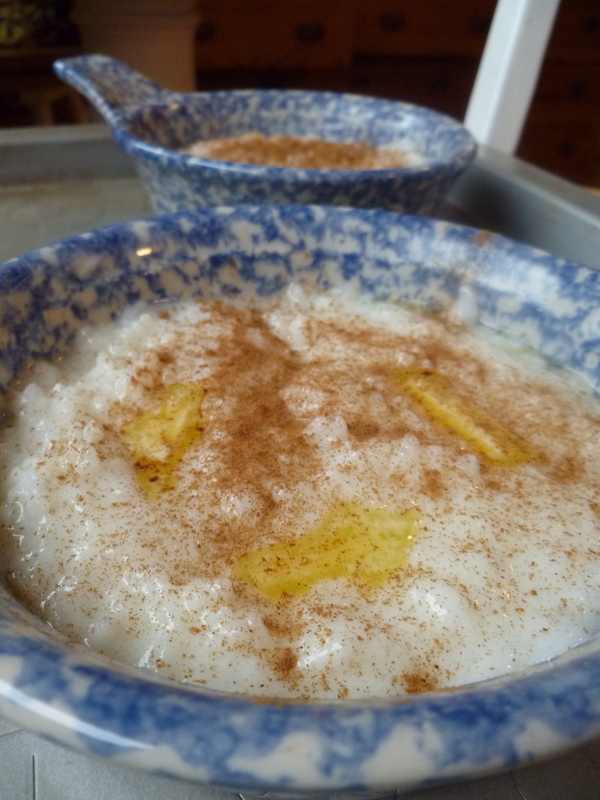 We usually have it as a side dish, but it would make the perfect hot breakfast option too. 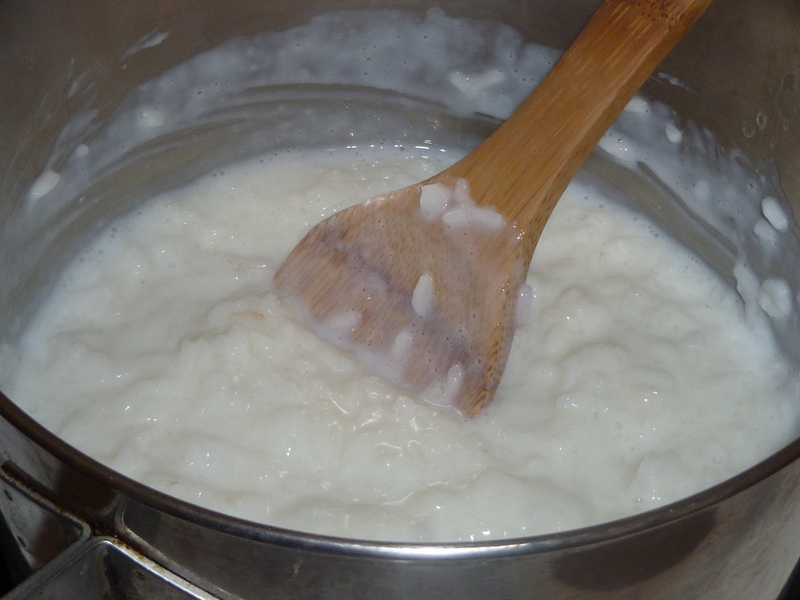 Continue to add milk and stir until rice is creamy and tender. Remove from heat and sweeten with sugar to your liking. 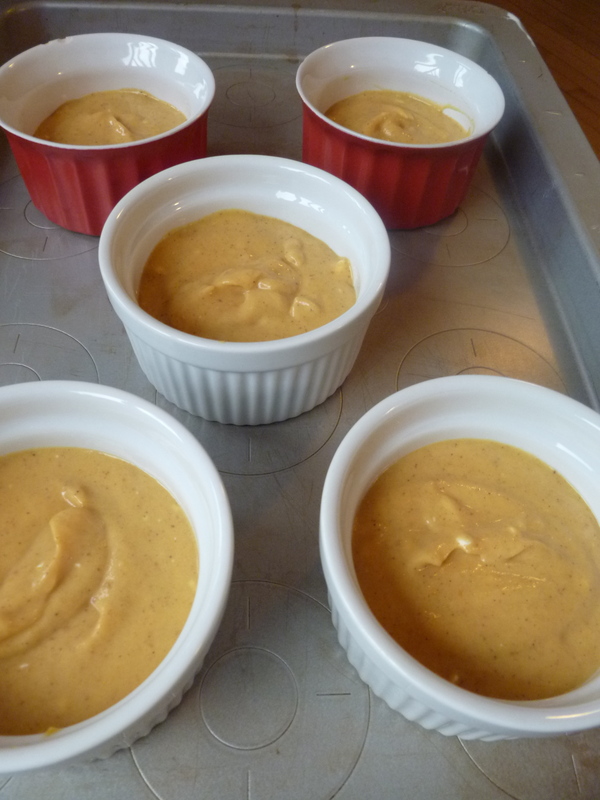 Transfer to an oven-safe bowl or ramekins. You may want to grease these with a little butter. 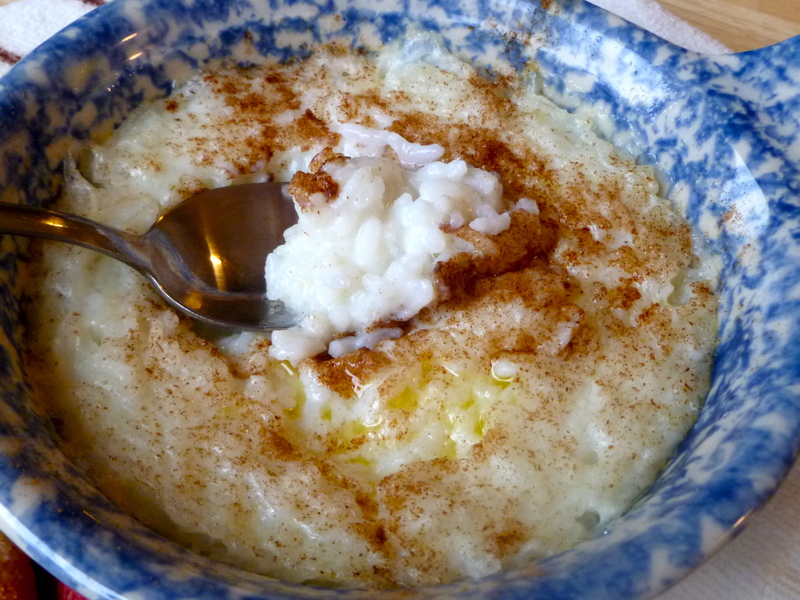 Sprinkle with cinnamon and add some small pats of butter. Heat for about a half hour at 325 degrees. 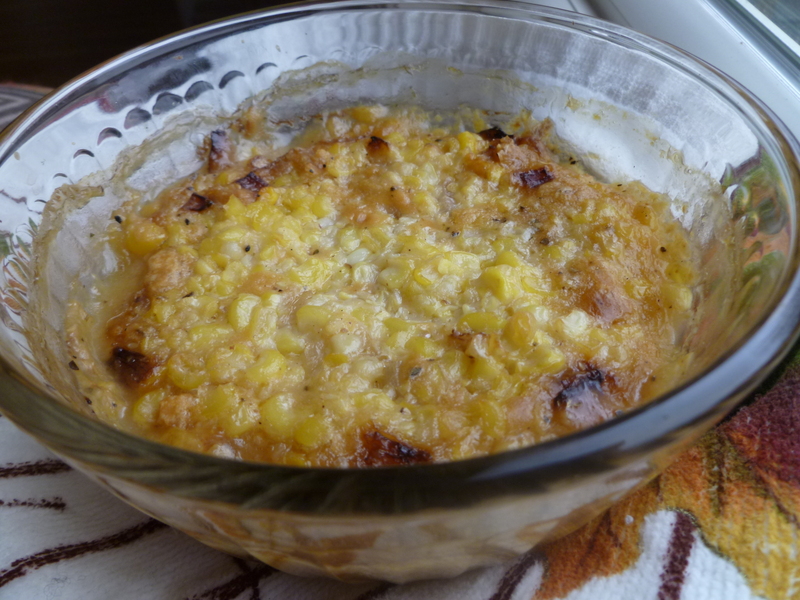 I modified the recipe using corn I threw in the freezer this summer, but I’ll give you my mom’s recipe and you can modify it as you wish. Combine all ingredients. Season with salt and pepper. Bake 30-45 minutes at 350 degrees. We have this every year for Thanksgiving. Last year, my little buddy helped me make it. He’s a big fan of this salad. Hope you are too! This makes a big ol’ bowl. I made a half batch and will be eating it all week. 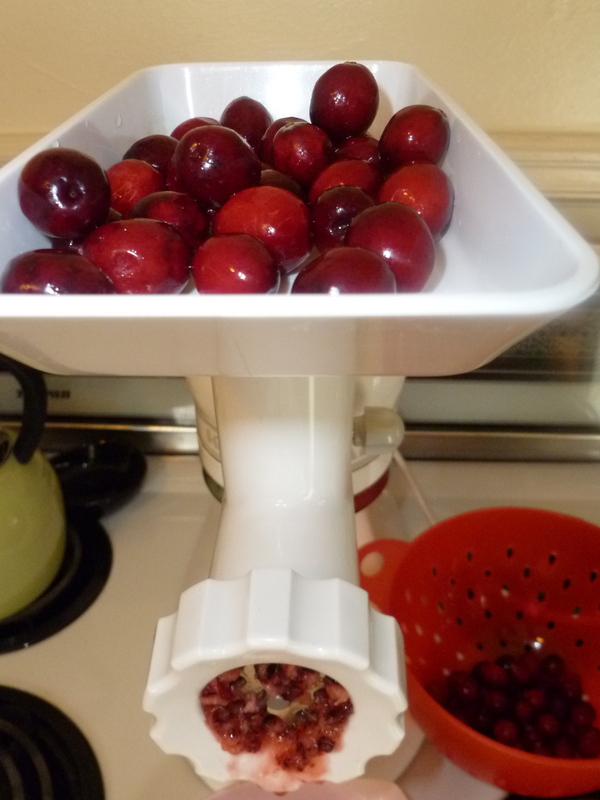 Grind cranberries. I used the attachment for my KitchenAid for the very first time and it worked perfectly. 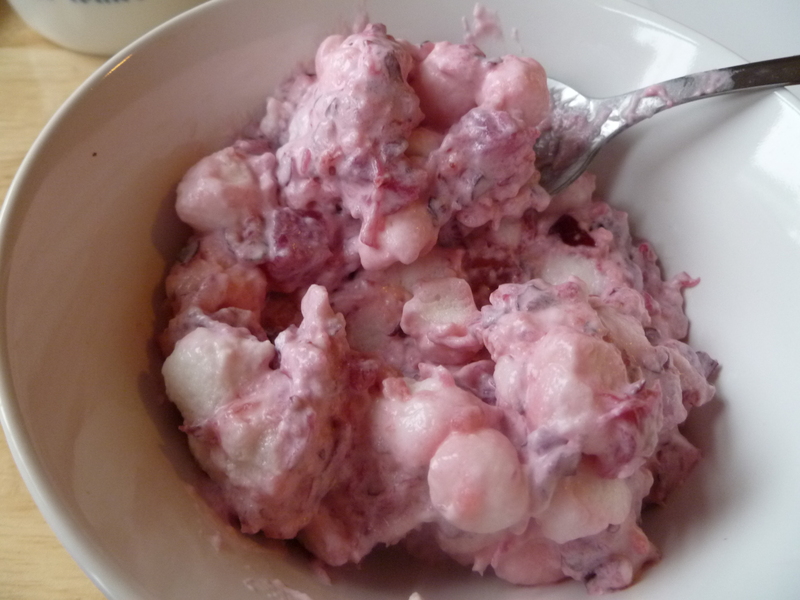 Combine sugar and ground cranberries and set aside for two hours. Whip the pint of whipping cream until it’s nice and thick. Add in the marshmallows, cover and set in fridge for two hours. 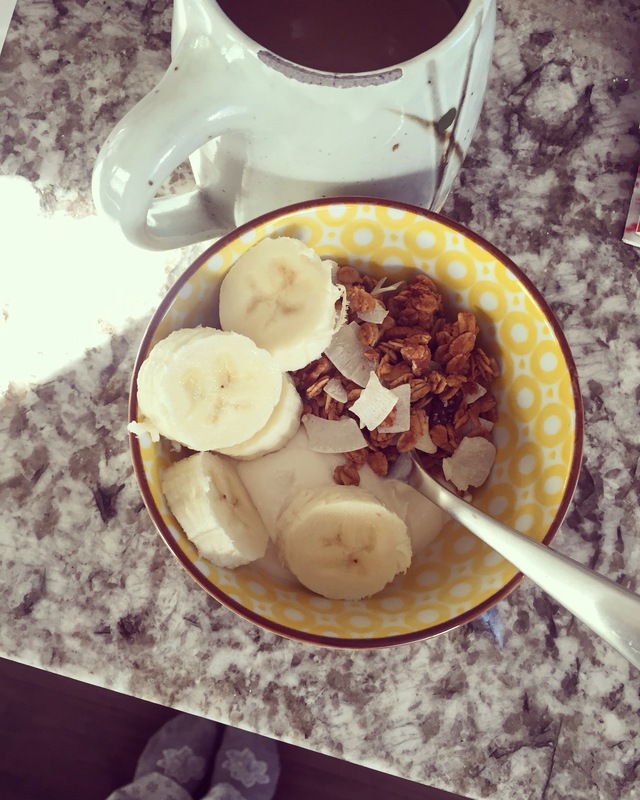 When time’s up, mix the contents of the two bowls together. Fold in the pineapple and let stand overnight for best flavor. It will keep in the fridge several days after Thanksgiving. And finally, a little sweet treat from Snack Girl. Check out her site, if you haven’t already. She is always coming up with healthy alternatives for us. Her recipe for Pumpkin Pie Makeover was gluten free as written, no converting needed. It was a pumpkin pie-cheese cake type combo. In hopes of catching the last moments of daylight, I snapped a picture right out of the oven. 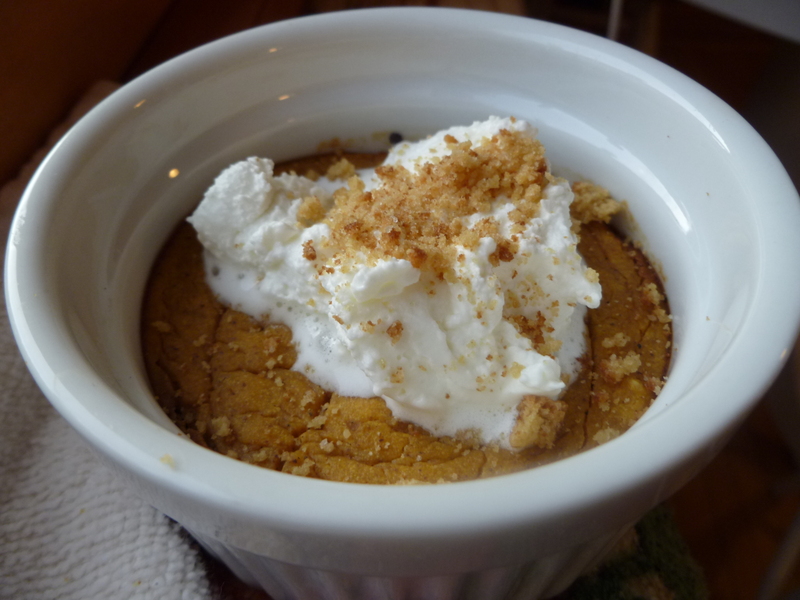 Topped with a little whipped cream and a crumbled ginger snap. I got to spend hours in my kitchen this weekend. Dancing around to whatever Pandora had in store for me. 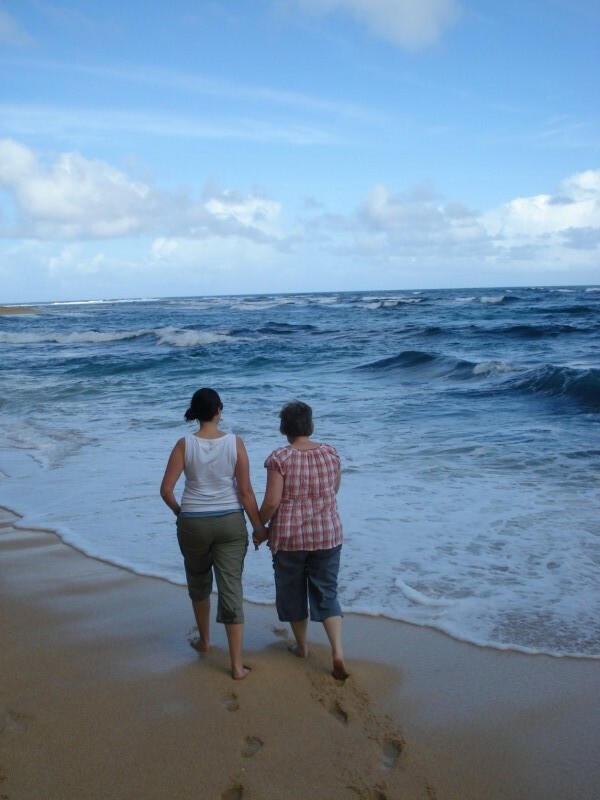 Called my Mamasita several times to make sure I was on the right track. (it’s okay for the scalloped corn to be a little soupy when it goes in the oven) Got a little weepy wearing my Grandma’s old apron, making her recipes, the ones my mom has been making for us for years. It was another three generations moment. Take a moment this week. To give thanks for your family. Whether they are the family you are born into, or the ones you have chosen over time. We’re lucky to have them. What are you making with your family this week?